Some sceptics might protest and say that it is all imaginary – made up by an overactive mind – and I reply: Did you ever rent or buy a home where you didn’t like the vibe? The sceptic responds: Never! And I, trying not to be smug, say: Case proven. Because you are sensitive to atmospheres. One of my friends was an officer in a nuclear submarine. When things went wrong and needed fine tuning, the captain always asked my friend to fix it because he had an extraordinary sensitivity to how the vessel felt and where it needed attention. My dad was a psychiatrist and disliked all kinds of psychism and spirituality. Nevertheless he claimed that he could tell what was wrong with his patients the moment that they stood in the doorway of his consulting room. How could he do this? He said that he could read body language, but I have known of many blind people who have the same ability so cannot ready body language. So what is the source of their sensitivity? And in your own home or work place, can you feel the mood of someone coming in the front door – especially if they are angry or depressed? This is all very normal stuff. We all sense invisible stuff. It is a human sense just like sight, hearing, smell, taste and touch. Sometimes, in ‘respectable’ language, it is called intuition. For me, I simply understand it as a result of the fact that we all have magnetic fields. Every atom and cell in our body has a magnetic field. That is basic chemistry and physics. 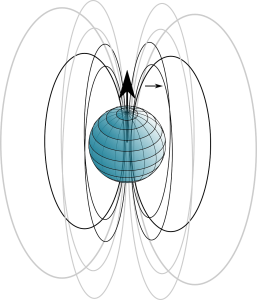 Planet Earth has a magnetic field. Birds guide their migration roots using their magnetic field. When something enters our magnetic field, it creates an ‘event’ that ripples through into our nervous system. We then feel or sense it. The challenge for some people, including me, is that we have very sensitive energy fields and nervous systems. This means that sometimes we feel too much and it can be disturbing, tiring or even overwhelming. In my mid-twenties for instance I lived off-grid for two years in the High Atlas Mountains of southern Morocco. When I came back home to central London my body could not stop shaking for several months as I felt all the vibrations of the city after two years in the mountain calm. At the same time I was also exploring different approaches to spirituality and healing. Because of my own sensitivity I was particularly interested in spooks and negative atmospheres. I explored whether these unpleasant experiences were psychological or energetic phenomena and how to discern the difference. I led many workshops and trainings in this topic and wrote two books Psychic Protection and Feeling Safe on the subject. Learn about your magnetic field and energy body; and how it integrates with your nervous and endocrine systems. Know thyself. Do what works best to strengthen your nervous system. Less caffeine, less alcohol, less recreational drugs, less rubbish food. More exercise. Learn about internal martial arts – chi gung– how to use meditation and movement to build your inner strength. Develop a stable grounded centre of gravity – what is called hara in martial arts and bottom in horse riding. Practice the classical strategies of psychic protection such as protective bubbles, shield, columns of lights, power animals and plants. Keep your energy moving – physically, psychologically and in your home and workplace. Use your sensitivity to deepen your connection with the unconditional love that permeates the universe. Ask and pray for help. Develop your ability to love, bless and forgive those whom you dislike and might be ‘enemies’. Understand that sometimes you attract difficult situations that are in fact great opportunities for learning and development. Best book I bought on the subject. I read it the first time out of curiosity then again when I needed help and protection after someone elses energy crossed overto me in an healing group. It was not in a good way !!! I laugh now but hope never to meet it again.Thank you, Still got your book. This is a lovely summation of something that is never talked about in ‘polite’ society, where the only parameters allowed are the ‘boxed’ ones. Intuition too is suspect, and I can almost hear the throw-away laughter that greets anyone who is foolish enough to share this kind of understanding in a crowd of people who never go below the superficial in our culture. Many are the taboos rampant in our society, and talking about any form of E.S.P. (unless you are scientist currently working in this specific field) will raise eyebrows and close minds. That’s why we don’t do it. Good on you, William, for opening this conversation. I hope thousands of people will support what is, for me anyway, a very familiar experience.